India has perhaps as much medieval Islamic architectural heritage as that of the rest of the world put together. But the world is not aware of how much or how great this Islamic heritage is. Eminent filmmaker and art historian Benoy K. Behl has prepared a film A World of Beauty and Grace: Islamic Architecture of India for the Ministry of External Affairs. More than 200 major monuments were visited during one year of the shooting of the 31-minute film. In Behl’s words, there is an "unbelievable" range of Islamic architecture from Kerala and Tamil Nadu to Kashmir and from Tripura to Gujarat. The Mughal architecture of North India has been well known but not of other parts. 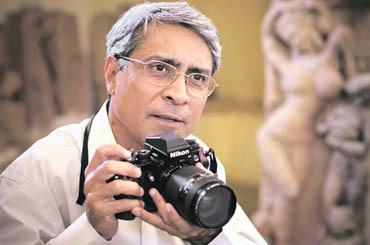 Behl is known for his documentation of India and other Asian artistic treasures. His films include 26 documentaries on The Paintings of India and an equal number of documentaries on The Sculpture of India. 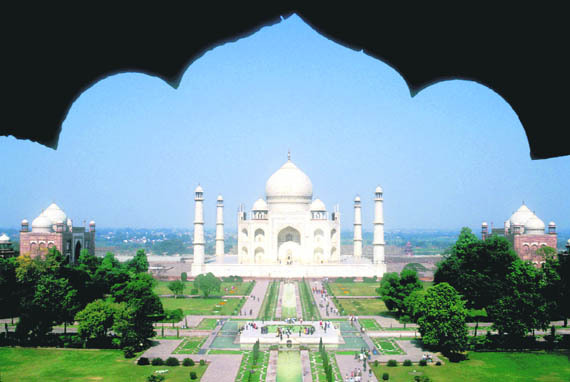 "The Taj Mahal is the most famous Islamic monument of the world. 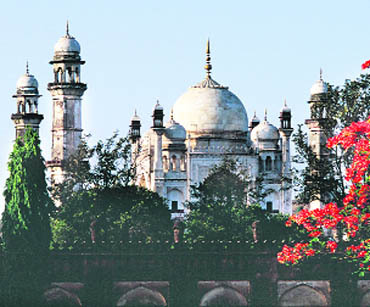 What is not equally well known is that the second oldest mosque in the world is also in India — in Kerala," informs Behl. Islam came to India not from the North, as is commonly believed, explains the film. The ‘new faith’ actually came through the Arab traders in the region of Malabar in Kerala and Muslims settled there as a trading community. One can see still find strong traces of that community among the Mopalas in Kerala. The Deccani sultanates were filled with Turks, Persians, Arabs and Africans and the region became the greatest centre of Arabic learning and literature. In the first century AD, Pliny the Elder writes in Rome about the routes to India. He mentions the July monsoon winds that traders used to catch to bring them to the Indian coast. He mentions about a ship that took 40 days from the Arabia coast to reach Moosirissi, which was then the name of the present day Kodungalur. The first mosque was made in India at Kodungalur by Raja Cheraman Perumal in 629 AD, within the lifetime of the Prophet. This is one of the oldest mosques of the world. The film takes you to Kayalpattnam, an ancient town on the mouth of the Tamira Pirani River in Tamil Nadu. The Codal Karai Mosque was built here by Arab traders as early as Hijri 12 or 633 AD. It was the first mosque to be built in Tamil Nadu and ranks among the oldest mosques in the world. Kayalpattanam has many other early mosques. Kerala and Tamil Nadu have numerous mosques, made through the ages. In Delhi, the most impressive monument is 72.5 metres high Qutab Minar. Built in the early 13th century by Qutbuddin Aibak, Sultan of Delhi, the film claims, it is still one of the world’s tallest minarets. In the Qutab Minar complex exists North India’s first mosque — Quwwat-ul-Islam (Might of Islam), built in 1193 AD. The film introduces you to Ibn Batuta, who had travelled all over the Islamic empire. He started from Africa and visited Samarkand and Damascus before reaching India. He recorded, "Nowhere in the world exists a minaret as impressive as the Qutab Minar." The Gol Gumbaz in Bijapur (Karnataka) is the tomb of Sultan Muhammad Adil Shah, who ruled from 1627 to 1657 AD. This is the largest dome ever to be built in the Islamic world. It is the second largest in the world, after the Saint Peter’s Basilica in Rome. It measures 37.92 metres on the inside. Then there is massive 14th-15th century Bidar Fort in Karnataka, which has walls run for 5.5 km around. Reaching India from Samarkand (Uzbekistan) in 1398, invader Timur was struck by the beauty of cities. His autobiography — the Malfujaate Taimoori — records that from among the prisoners, thousands of craftsmen were selected for back home journey as he wanted to build a unique Masjid-e-Jami in Samarkand, the seat of his empire. Delhi’s Humayun Tomb is considered to be the first great masterpiece of the Mughals. It is linked to Lodhi and Tughlaq architecture of the 14th and 15th centuries. In 1571, Emperor Akbar decided to build a new capital city — Fatehpur Sikri, near Agra. The emperor used to supervise the construction himself. "Fatehpur Sikri is one of the best ordered and symmetrically laid-out cities of the entire medieval world," Behl points out.